Every day we are constantly distracted by our phones or computers or some type of technology. Rather than wasting time near the water cooler we now waste time at work by browsing the Internet or going on social media. 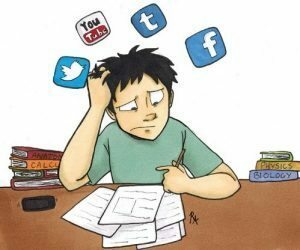 These distractions extend beyond work as well though as it is often hard to have a nice meal these days without someone being distracted by their phone. Additionally, it seems like every time I’m ready to go to bed I get distracted by something in the news or on social media and oftentimes end up going to sleep later than I wanted. Distractions like these have lessened our physical interactions in return for social interactions, but this is the cost of the internet. 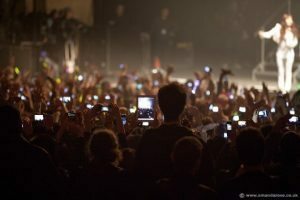 Every time you go to a concert or fun event these days you’ll likely see phones out and recording. It seems like more and more people are attending events to be able to show others and say they attended such event rather than actually just enjoying the moment. It’s nice being able to look back and remember certain trips or events, but oftentimes we just miss the simpler times when you just enjoyed the moment and the only trace of evidence was your memory. It seems like every year less and less children are outside playing at park, as more children spend most their time inside playing video games. However, this phenomenon does not only apply to children – we often find ourselves going out less and spending less time outdoors than we used to despite beautiful weather. 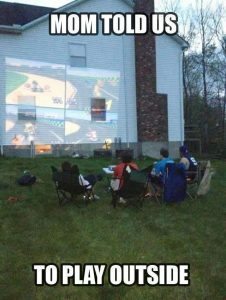 Spending time inside on a computer or phone is not necessarily time wasted, all we are saying is that sometimes we just miss the old days of spending more time outside. 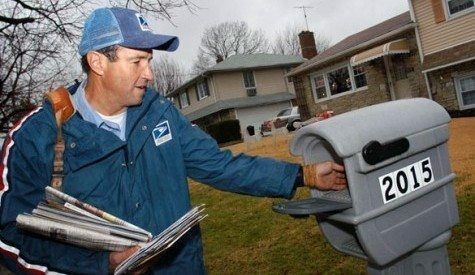 There was no better feeling than seeing the mail man outside your door because you never knew what was awaiting you. We used to receive letters from old friends or packages from family members, but the only packages we receive now are the ones we ordered online and we know are coming. Writing is another lost practice as almost nobody sends letters anymore. Writing was a relaxing activity and an exciting one as you could be writing to a friend you had not seen or heard from in years. Now we keep in touch every day through Facebook or text no matter the distance; granted, this is a major benefit of the internet but that does not mean we miss the practice of writing cards and mailing them. We used to have to talk to someone and interact with them in order to get to know them – nowadays, you can simply Google someone or look them up on Facebook and find out what their interests are. 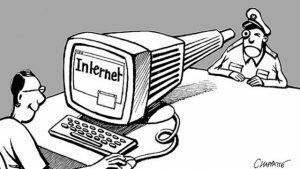 There is loads of personal information about everyone on the internet whether you want it to be there or not, and, while this may sometimes be helpful, it can also be scary and concerning. Granted, the NSA and other personal information is often put to good use whether it be for national security or displaying ads we want to see, but the feeling of always being watched and never having privacy can often be frightening. These are some of the things we miss most about the times from before the internet. What do you miss most about the time of pre-internet? Email us letting us know and possibly be featured in a future blog with updated responses!